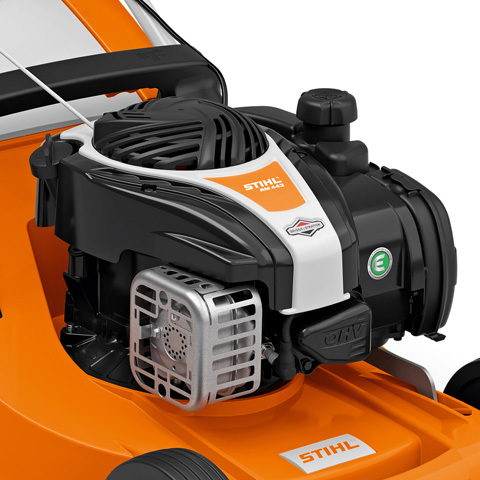 The STIHL 6 series lawn mowers are STIHL’s most premium range for gardeners who want the best mowing experience possible. 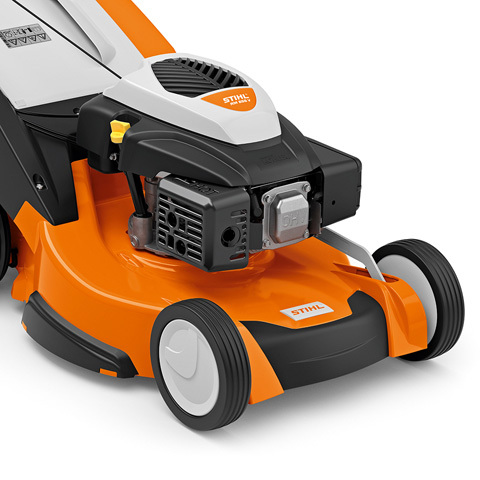 With large area coverage of up to 2500m2 on the RM 655 RS, this model is built with durability and comfort in mind for large professional mowing tasks. 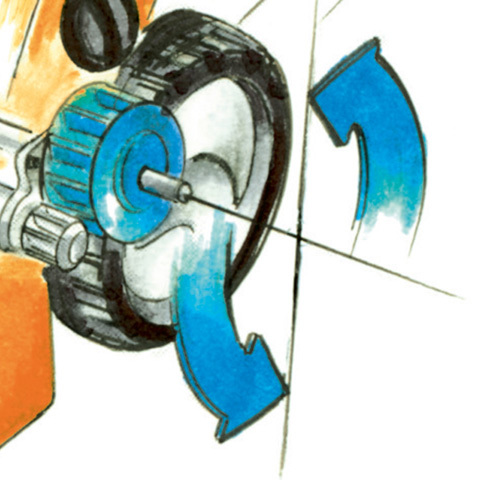 With a durable metal rear roller with robust drive and well-sealed bearings, there is no compromise between convenience and lawn striping quality. 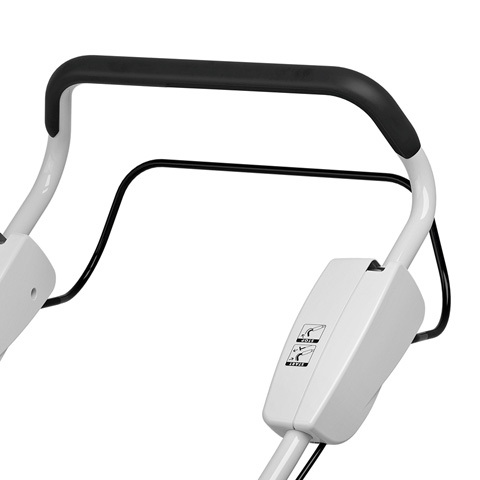 The body design allows for easy access and maintenance of working parts such as drive cables, pulleys and the drive belt. 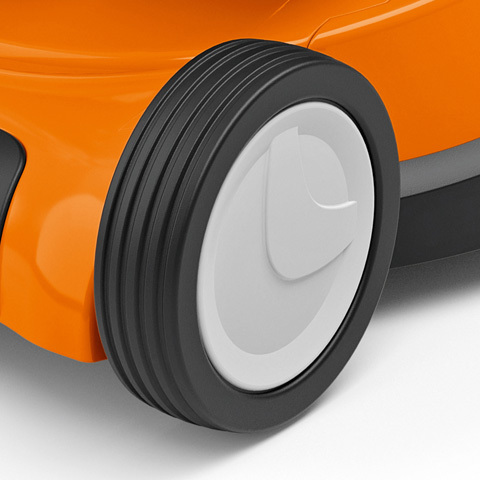 The optimised rear deflector flap works perfectly with the mono-comfort handle, improving access to the grass box and making emptying much easier. 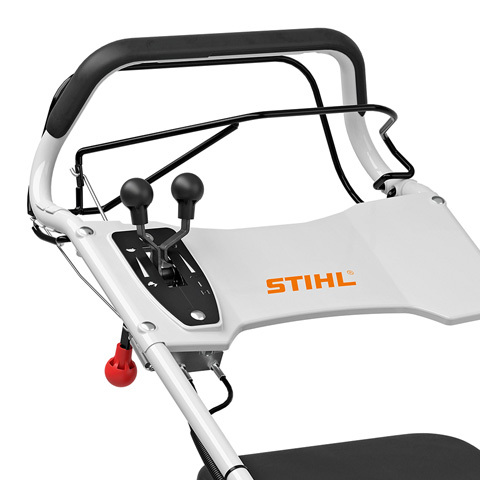 STIHL’s best technology comes standard on these mowers. 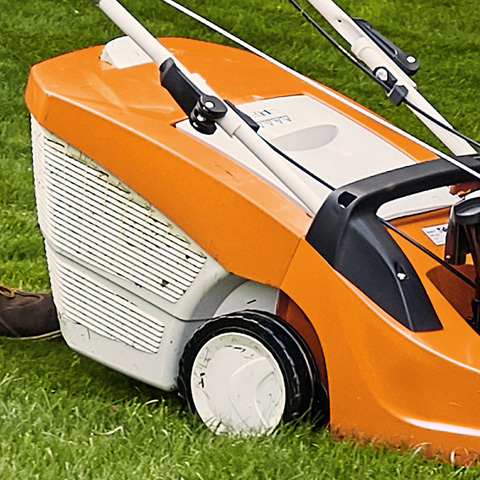 High lift blade for excellent cut and collection, extremely sturdy mono handlebars allow for easy emptying of the grass catcher box, and it’s also easy to adjust to suit different heights, or fold for storage without tools. 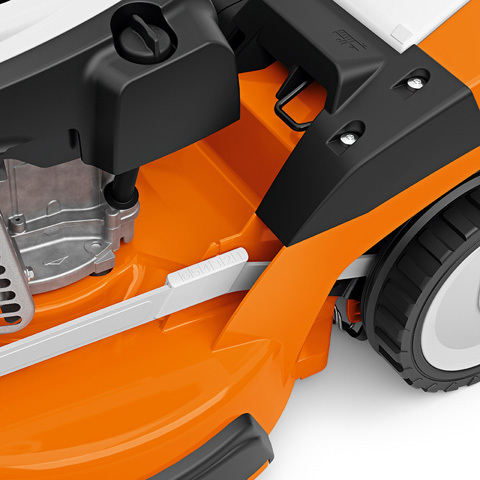 There’s a simple one drive and blade brake clutch on the RM 655 RS to stop the blade but keep the engine running when emptying the box or moving between mowing areas.The aluminium deck is robust and lightweight and central cutting height adjustment and foldable handle bar make usage and storage much easier. 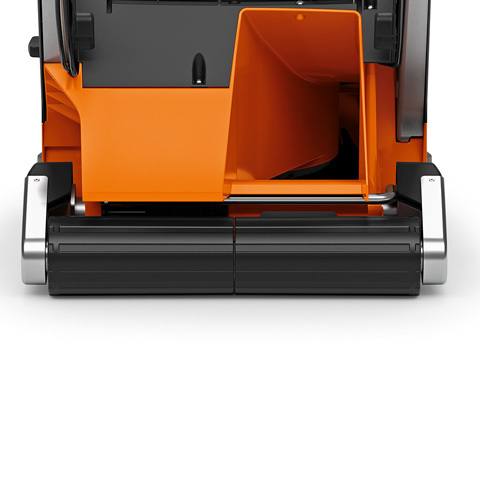 The RM 655 RS comes with a 1 year professional warranty or 5 year extended domestic warranty (subject to registration and annual servicing).